BAGLUNG, July 12: After becoming self-reliant in milk, Baglung has started supplying milk to other neighboring districts. According to District Livestock Service Office (DLSO), Baglung, local farmers have been supplying milk worth Rs 25 million to neighboring districts annually. Farmers in Balewa are Khalebang, among others, are supplying milk to neighboring Parbat and Gulmi districts. 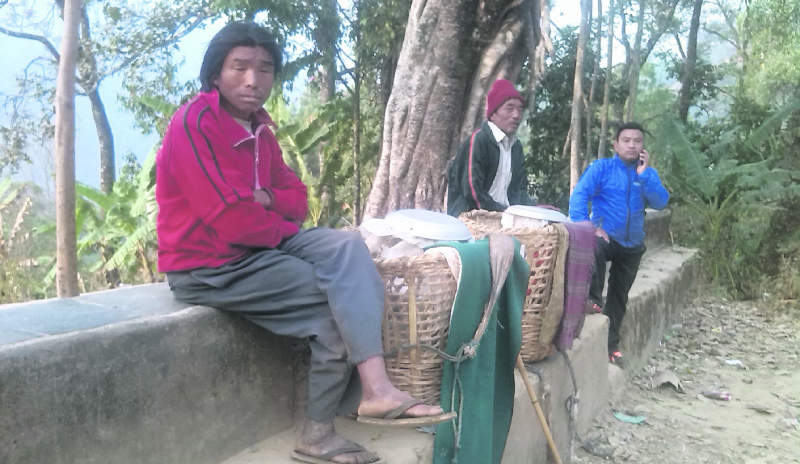 Laxmi Narayan Sharma, president of Kaligandaki Dairy Production Co-operative, told Republica that farmers of Kushmishera, Narayanisthan, Amalachaur and Paiyiupata send 800 liters of milk on a daily basis to Parbat district headquarters Kushma. “We collect milk in these and send it to Kushma. It is easier to send milk to Kushma because of good road connectivity,” Sharma said, adding farmers in these villages sell milk worth Rs 25 million annually. A liter of milk costs Rs 80 in Baglung. Around 120 farmers of the region are affiliated with the cooperative. According to Shah, around 900 liters of the milk produced in the district is supplied to market areas in other districts. Nilkantha Sharma, a livestock development officer with the DLSO, said that Baglung produced 25,300 tons of milk in the current fiscal year. In the last fiscal year, the district had produced 24,490 tons. Experts say expansion of commercial cow farming is one of the reasons behind significant rise in milk production in the district. Gopal Giri, chief of DSLO Baglung, said that youths returning from foreign employment are attracted toward commercial cow farming. “The office has been providing technical trainings and other services to interested farmer for encouraging them to start commercial cow farming,” he added. Meanwhile, Yukta Prasad Kandel, president of Baglung Milk Production Cooperatives Association, said that many farmers are facing difficulty to find proper market for milk due to growth in milk production. “Cost of production is increasing with passing year. But local farmers are not finding proper market as the market is flooded with dairy products supplied from Pokhara,” he added. Kandel further added that the association has declared milk holidays for five days per month because of rise in production and falling demand. “We have also started producing chhurpi (hardened cheese) so that farmers do not have to suffer loss,” he added.